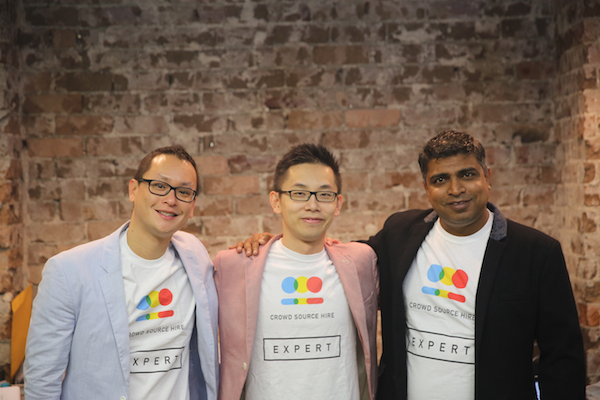 On Wednesday and Thursday evenings this week, Telstra backed accelerator program muru-Dpresented its Demo Night to stakeholders within the Telstra organisation, potential investors, advisors and other individuals from Australia’s startup ecosystem. Class Two of the program, which began six months ago, started with 11 teams. However, only 10 of those teams managed to complete the full program, hitting all the necessary milestones along the way. Although the name of the missing company was not mentioned on the Demo Night, a quick look back on earlier stories around the current muru-D contingent will reveal that the startup was Funetics. Where Funetics fell short was in managing to complete one of the milestones – such as the $5,000 Advisory Investment Program or on-boarding a paying customer, etc. – required in the program before the given cut-off date. This means that, as per the rules of the accelerator, the startup had to move on from being active in the current program and joining the muru-D alumni. Stories like this show two things; the first is that muru-D is serious about its framework; and the second is that the accelerator is preparing startups for the real-world where closing things like sales or investment by a certain date can mean the difference between keeping the dream alive or having to shut a business down. muru-D’s Demo Nights took place inside the Telstra Customer Insight Centre in Sydney. I felt that these presentation nights, in comparison to last year’s, had a deeper buy-in from Telstra. From the moment you stepped out of the elevator, there were ushers, hospitality staff and the muru-D team giving guidance on where to go and what to do. The startups were in constant presentation mode giving guests an opportunity to “play” with the products and services prior to the formal part of the evening. When that portion of the night came around, the set up of the stage was simple with full floor to ceiling projections creating an immersive experience from the usual rectangular “death by powerpoint” feel you get with most events like this. To say the achievements of the 10 presenting startups were impressive would be an understatement. As with any style of program, muru-D’s Class Two had the benefit of the learnings that came out of the first program; and this resulted in the startups gaining more user traction, more sales and more regional opportunities, mainly due to the new focus on China this time around instead of the United States. Perhaps the most impressive statistic from this class is that the startups have generated over $2.6 million in revenue between them in the last six months. That is not projections either, that is actual sales that have been processed and contracts that have been signed. Another interesting factor was that startups like Tripalocal had already closed a seed funding round of $850,000 and is beginning to have conversations around a Series A already. While that seems fast by Australian standards, the Chinese angle of this intake has meant that a handful of the startups are moving at the pace that many high-growth tech companies in Asia do, and over there a six-month period between a seed and Series A round, is actually not considered unusual. The China focus and subsequent learning tour that has taken place within this program seems to have opened up a number of highly scalable and very profitable opportunities for this class of startups. Founders: Desmond Hang, Ben Liau and Rajnish Kumavat. CrowdSourceHire’s platform allows businesses to assess the technical skills of professional hires by crowdsourcing industry experts to vet and validate their candidates. While the difference between the free and premium version of the site could have been explained a little better, CrowdSourceHire have achieved global validation of their product and a move into the South East Asian region is on the cards for them. The startup has completed projects for over 124 companies so far including departments within Telstra and Sony as well as Grab Taxi, one of the fastest growing companies in Asia right now.